One of the great things about Los Angeles is its blend of cultures and how people from a huge array of different backgrounds come together to make our communities thrive. 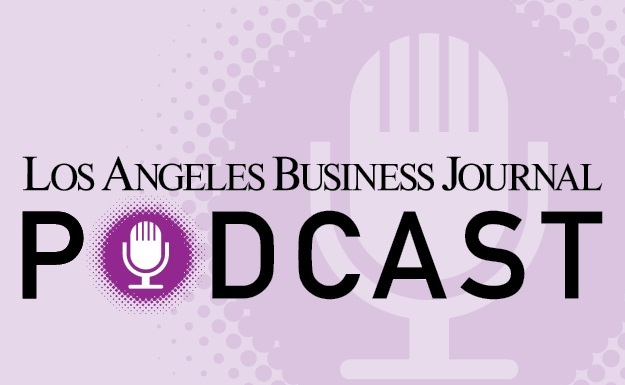 The Los Angeles region’s business landscape is no exception. We have much to be proud of in terms of our region’s standard-setting leadership role in terms of diversification programs. With that in mind, we welcome you to our first annual celebration of one of the most important and exciting aspects of doing business in Los Angeles today – Diversity and Inclusion! Our inaugural 2017 Diversity & Inclusion Summit event, as well as the special supplement you hold in your hands now, are designed to share the important benefits companies reap when they proactively practice inclusiveness. Our event included a series of thought-provoking and inspiring panels, each packed with extraordinary and knowledgeable speakers, each of whom is briefly profiled in these pages. We appreciate their insights and the sharing of their knowledge at the Summit, which took place on Monday, July 24th at the OMNI Los Angeles Hotel. The panels covered topics such as “Leadership/CEO Commitment,” “Supplier Diversity,” and “Building a Diverse Team” as well as a terrific keynote talk by Sahar Andrade. If the quality of these discussions (and the resulting, enthusiastic audience turnout) is anything to go by, we will likely be hosting this event for many years to come! Special thanks go out this year to our Platinum Sponsor, Skanska, as well as Gold Sponsors California State University Northridge, Mattel, Montage Insurance Solutions, PCL Construction, and Reed Smith. And again, thanks to all the experts who not only shared their knowedge with us last week, but are actively playing a proactive and positive role in the diversity and inclusion aspects of our business community as a whole. The Los Angeles Business Journal was excited to host the inaugural 2017 Diversity and Inclusion Summit event at the OMNI Los Angeles Hotel on Monday, July 24th.The eventful morning featured a series of panel discussions featuring companies and individuals who have shown an exceptional commitment to promoting practices that advance diversity and inclusion in the workplace and in business leadership. Attendees had the opportunity to learn from the managers and executives who have shown the ability to develop and lead an increasingly diverse workforce and client base to achieve company goals. Leadership/CEO Commitment: Moderated by Debra Langford, this panel made up of Jessica Kimball (Mattel), John Iino (Reed Smith) and Danone Simpson (Montage) consisted of leaders from differing industries sharing their views on challenges and opportunities when building and measuring a culture of diversity and inclusion within their organizations; and the effects it has on productivity. Supplier Diversity: Moderated by Kymberly Garrett of GarrettSpioni Group, panelists Lois Shelton (CSUN), Mel Jones (Skanska), and Priscilla Chavez (PCL Construction) helped to define supplier diversity, and talk about the strategies used by successful businesses to procure minority contracts and secure access to capital. Building a Diverse Team: Moderated by Kimberly D. Jones, panelists Stacey Gordon (Rework Work), Tony Lee (Dickerson Insurance Services), Joe Keenan (New Avenue Marketing) and Lisa Bennett Wrench (Language People) shared the issues that need to be considered when building a diverse team and how that correlates to productivity, profitability, business growth and morale. The audience also heard an inspiring and thought-provoking keynote presentation on human capital from Sahar Andrade, one of the nation’s authorities on the subject of diversity in the workplace.